Today is Howard Phillips Lovecraft’s birthday, and the prolific author would’ve turned 125 years old. While not incredibly popular in his time (though his tales did populate many a page in pulp magazines towards the end of his life), Lovecraft has ended up being a prescient and enormously influential writer whose tales of creeping dread, ancient evils, and monstrous visions have been reflected in works as diverse as John Carpenter’s The Thing, Buffy The Vampire Slayer, and even Scooby-Doo! Mystery Incorporated. 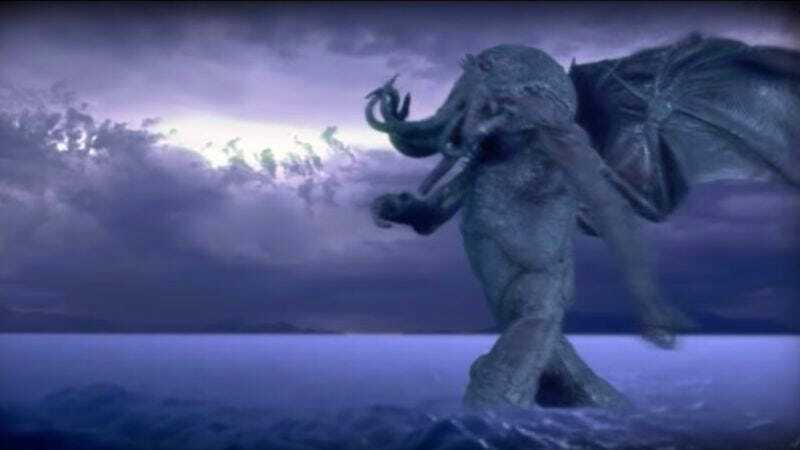 Lovecraft himself is a bit of a problematic figure, as his xenophobic and racist beliefs tended to inform his writing, but those elements are glossed over in today’s world where Cthulhu has become a pop icon, appearing in dozens of games, videos, and the occasional dessert. So in honor of the horror grandmaster’s birthday, here’s a quick overview of all the nasties that populated his writing, along with some other ephemera, all of it expertly animated by The Lone Animator. It’s reminiscent of Edward Gorey’s Gashlycrumb Tinies and the stop-motion animation helps increase the quaintness of the otherworldly terrors that populate Lovecraftian literature. So for those looking to learn more about some of the creatures that lived in the writings of H.P. Lovecraft—or perhaps are twisted enough to use this as a means to educate children on the alphabet—please enjoy the following video.